TThe Saxon Hotel can be found in the opulent, lush tree-lined streets of the exclusive suburb of Sandhurst. Often referred to as, "the Saxon", the hotel oozes style and is Johannesburg’s most luxurious hotel. The Saxon is the perfect blend of rich cultural history and contemporary five-star service. With a keen eye on the arts, tailor-made tours to galleries and exhibitions, suiting your taste, can be organised. This is just one of the ways the Saxon showcases the rich history and cultures of our country. Whether you want to discover South Africa’s diverse cultures or experience the liveliness of the city and surroundings, the Saxon Concierge can assist you with planning your trip. 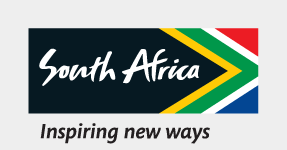 Consider them as your personal travel agent, helping you experience every bit of South Africa’s vibrant culture. TThe Saxon won ‘Wine Spectator Award of Excellence for Qunu Restaurant’, 2014. TThe Saxon Hotel was once “home” to former South African president, Nelson Mandela after his release from prison. It was during this time that South Africa's former president used the serene setting of the hotel to edit his autobiography "Long Walk to Freedom". You can even book a stay in the Nelson Mandela Presidential Suite, which was voted as "Africa’s leading hotel suite" by the World Travel Awards in 2014 and offers stunning views of the garden and pool terrace. YYou can also experience the uninterrupted peace and tranquillity that the former president enjoyed during his stay in the now aptly named, Nelson Mandela Villa found on the Shambala Private Game Reserve in Limpopo, which forms part of this hotel group. Here you can enjoy elegant dining at the Qunu Restaurant, which serves mouth-watering African cuisine. The warm and inviting Qunu Restaurant is named after the small village Nelson Mandela grew up in in the Eastern Cape. TThe Saxon Spa is a treat for anyone looking for a little downtime and TLC between enjoying the sights. Dip into the heated, indoor Jacuzzi pool or head to the sauna for a relaxing pre-treatment spa experience. Then sit back and relax while the Saxon Spa staff takes care of the rest. The Saxon Spa packages offer the ultimate spa experience to rejuvenate the body and mind. You should try one of the signature therapies – a favourite is the Saxon Spa’s unique Sound Therapy. Be sure to book a lifetime stay at the Saxon because you’ll never want to leave.